New research published by comparison website confused.com has revealed that a quarter of motorists have either been involved in an accident or had a near-miss behind the wheel in poor conditions. Amanda Stretton, the motoring editor at Confused.com, commented: “When the weather turns and you’re out in your vehicle, it can be tempting to put your foot down and drive home as quickly as possible. You can’t say that you haven’t been warned about the wintry weather this year. As reported by The Express, The Met Office has sent out a caution that a glacial blast could see the UK facing its coldest winter for 35 years. Get your car battery checked by a specialist: Cold and damp weather can cause equipment that’s on its last legs to stop working completely, so it pays to take a detour to your local garage just to be on the safe side. Top up your engine’s cooling system with antifreeze: This is very important, as antifreeze works to prevent all water in your car engine’s cooling system from freezing. Top up your screen wash bottle with screen wash: Your vehicle’s windscreen will become covered with more dirt and grime during the winter, as roads become less clear. Ensure your windscreen wipers don’t become smeared with grime by filling your car’s screen wash — which also achieves a lower freezing temperature than water alone, so you will have less worry of frozen washer jets too. Have a look at your car’s exterior lights: First, check that all of the lights are working, as you are likely to be using them more often when the weather gets bleak and the days become shorter. Also clean them regularly so that a build-up of dirt and salt doesn’t limit visibility. Measure the tread depth of your car’s tyres: By UK law, tyres cannot have a tread depth below 1.6mm. However, the greater the tread the more improved your car’s steering and braking will be. High-quality car mats — not only are these useful accessories for your car’s interior, but can be wedged under wheels to help you when you’re stuck in snow. 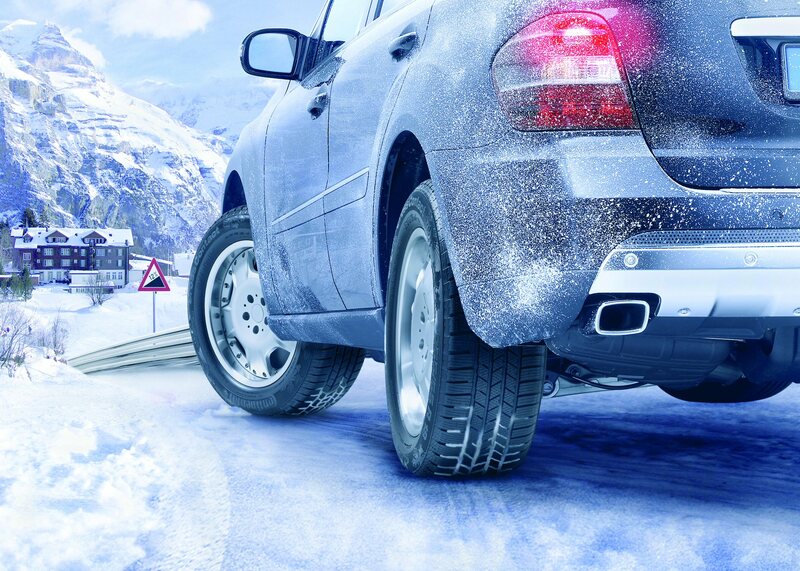 If you’re going to be on the road a lot when the cold snap hits, it may be wise to top up your knowledge and improving your skills for driving in the snow and ice. Fortunately, there are plenty of options available to you with this in mind. BMW provides snow drift training in the Austrian ski resort of Solden, Lapland Ice Driving is an experience recommended by WTCC champion Yvan Muller that takes place in Arjeplog, in Sweden, while Ice Drive Sweden has a Drift Academy that offers comprehensive lessons on a frozen lake. While going to locations known for their cold weather will be the obvious choice for learning to drive better in wintry conditions, there are worthy alternatives across the UK too. The Goodwood Extreme Weather Driving course will see you learning how to handle a vehicle on slippery terrain by putting you through your paces on a dedicated skidpan at the West Sussex track, for example. There’s also the free winter driving workshops that Transport for Bucks are running in Chesham, High Wycombe and Aylesbury in late November and early December. Head along to one of these and a former police response driver will guide you about driving safely in the winter, before garage technicians show you the basic vehicle checks you can be carrying out on your motor during the cold snap. To book your place at one of the workshops, simply email [email protected].